For decades, the way TV advertisements have been bought and sold has not changed. To this day, there are still orders being handwritten. There is no widespread use of an automated technology solution to fix this antiquated process. 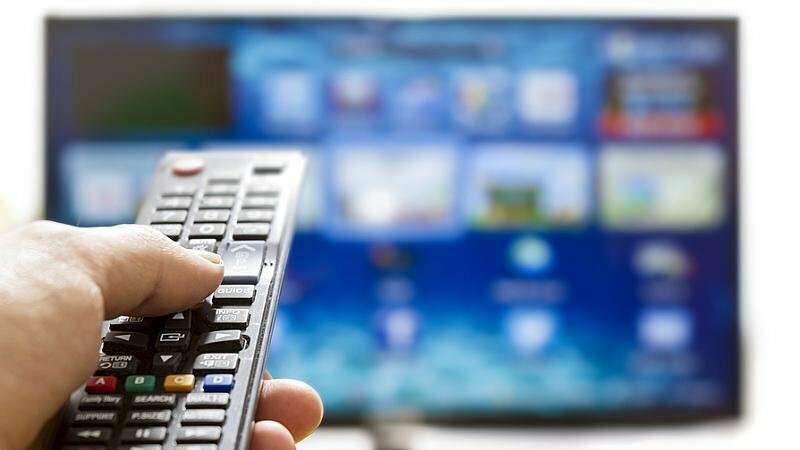 New research from Cox Media Group owned Videa, polled media agency, TV station members, and reps, revealing an overwhelming call to improve these inefﬁciencies. The sentiment is a cautiously optimistic view of how technology will change their roles in the industry. 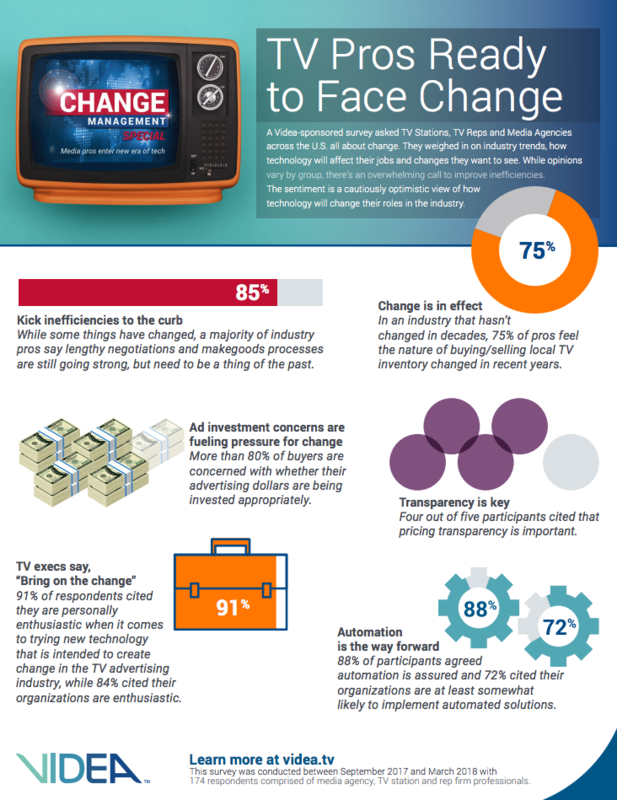 Videa, an online marketplace for automated television advertising, today released new research from their Change Management survey, providing a number of insightful perspectives from 174 participants, comprised of Media Agency and TV Station Members and Reps, on the state of the TV advertising industry. The survey was conducted online and reached 174 participants, comprised of Media Agency and TV Station Members and Reps who answered substantive questions in the survey. The survey was fielded between September 2017 and March 2018. All results are based on a sample and are therefore subject to statistical errors normally associated with sample-based information. Videa is an automated TV marketplace that is pioneering the way full schedule, local television advertising spots are bought and sold. Through its platform, Videa provides buyers with direct access to broadcast station advertising inventory, enabling advertisers, agencies, and marketers to purchase media buys – within seconds and up to a year in advance. Videa can work with any traffic system or demand-side buying platform, aligning with the unique needs of each TV station’s sales strategy. Owned by Cox Media Group, Videa was founded in January 2014.